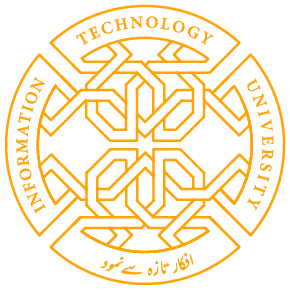 The successful projects undertaken by the students of ITU will be commercialized. Dr. Umar Saif, Advisor to CM Punjab and Vice Chancellor ITU said while addressing the closing ceremony of 5th Robotics Expo here on Saturday. Through Robotics Expos under Information Technology University (ITU), students learn through technological activity for resolving social problems was the keyword for Robotics activity, he said. Students of ITU successfully designed and built 14 robot prototypes to address some of the locally relevant problems of Pakistan. Dr. Umar said, “In this era of robotic revolution, the students of our university are highly motivated and passionate as they are playing an immensely crucial role in bringing this revolution to Pakistan. This time around, our country is not going to lag behind in this technological run”. Talha Rehmani, the lead of robotics program at ITU said, “It is remarkable that our undergraduate third-semester students are demonstrating such an innovation in robotics to solve locally relevant problems at this level and this is highly unprecedented”. In the expo, the students showcased fascinating robots including; Rekhta, an ultimate Urdu word predictor and transliterator that works in Roman and Noori Nastaleeq; Windope, a window cleaning robot designed and built to save the lives of window cleaners who work in adverse environments to clean windows in high-rise buildings; Mawazin, a medical product that ensures safety against over-dose of anesthesia medicine and administers drugs at a controlled rate; Machine-e-Meharbani, a vending machine that takes plastic bottles as credit and in return provides food to homeless people; The Eye-Writer, a robot designed for paralyzed people to help them do various tasks such as writing or controlling switch buttons by simple movements of their eyes; Taabat-ul-Miyah, a robot that can autonomously control a residential water motor based on water pressure from the main supply. A panel of judges declared Rock Star award and three successful teams, while robotics teams catwalk also attracted the audience. Well-renowned people from diverse fields attended the expo, including CEOs from over 15 companies, cricketers from Pakistan National Team, leading educationalists and journalists. 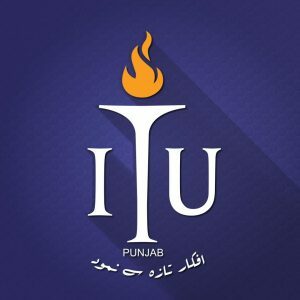 Share the post "ITU projects to be commercialized Learning by resolving social problems through technology-keyword for Robotics activity-Dr. Umar Saif"